During the years between the Mexican-American War and the Civil War, the United States became increasingly involved in Central America and the Caribbean. While U.S. Government officials attempted to acquire territorial possessions in that region, private citizens (known as “filibusterers”) also organized armed expeditions to various places in Mexico, Central America, and Cuba. Filibustering and official U.S. diplomacy were equally unsuccessful in acquiring permanent and significant territorial gains, and also tended to incite local antagonism against U.S. actions in the region. After the territorial acquisitions of the 1840s, the idea of additional territorial expansion remained popular with the U.S. public, as did the idea of spreading republican government. Many pro-slavery Southerners sought to expand southwards, allowing for more territory where slavery could continue to grow and expand. Some even imagined the United States as a great slave-owning republic that would stretch across the Caribbean to Brazil. These expansionist dreams were aided at first by a Venezuelan-born resident of Cuba, Narciso López, who, like some wealthy Cuban slave-owners, was wary of shaky Spanish rule over the island, and thus sought to have it annexed by the United States in order to ensure slavery’s preservation in Cuba. Cuban property owners were concerned that Spain would give in to British pressure to abolish slavery in Cuba. López organized several failed expeditions to liberate Cuba from Spanish rule, the last resulting in his capture and execution in Havana in 1851. The American public condemned Spanish actions, especially López’s execution without trial, but U.S. President Millard Fillmore did not issue a denunciation. 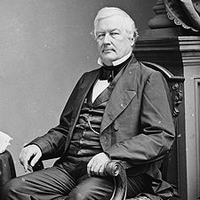 Public anger against Fillmore’s seemingly lukewarm support for expansion contributed to a Whig defeat in 1852. 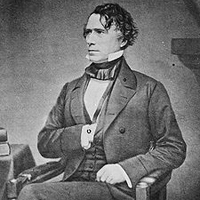 In an attempt to mollify the Democratic Party’s staunch proslavery wing, the new President, Franklin Pierce, appointed the proslavery politician Pierre Soulé as Minister to Spain in 1853. However, Soulé did not possess a personality well-suited to tactful diplomacy. During his appointment, Soulé disregarded his instructions to preserve Spanish sovereignty and delivered an unauthorized ultimatum to the Spanish Government regarding a seized U.S. merchant ship. Soulé also wounded the French Ambassador in a duel and began to associate with Spanish revolutionaries planning to overthrow the government. In 1854, Soulé met with other U.S. Ministers to draft a document known as the Ostend Manifesto, which outlined U.S. reasons for attempting to purchase Cuba from Spain. Once the documents were publicly released, they proved embarrassing for the Pierce Administration, and U.S. Secretary of State William Marcy implied that Soulé had instigated the meeting. In the meantime, the Spanish Government began to take countermeasures against U.S. interest in Cuba. The Spanish Minister to the United States, Angel Calderón de la Barca, gathered intelligence on planned filibustering expeditions to Cuba. In Cuba, officials took steps to free slaves who had arrived on the island after 1835 and planned to organize a free black militia that would oppose any proslavery invaders. Growing antislavery sentiment in the northern United States and Spanish determination to hold on to Cuba eventually forced U.S. leaders to end attempts to acquire the island. However, as Cuba receded from controversy, filibustering again gained attention in Nicaragua. American William Walker, who had led a failed filibustering expedition to Baja California in 1853, launched an expedition to Nicaragua in 1855. Allying himself at first with the Liberal faction in Nicaraguan politics, he eliminated his local rivals and became president in 1856. However, Walker’s policies hurt British business interests, as well as those of American tycoon Cornelius Vanderbilt. Walker also alienated his Nicaraguan Liberal allies, and his regime caused growing anti-American sentiment elsewhere in Central America. These factors eventually led to Walker’s downfall in 1857, despite his attempts to secure proslavery support by re-legalizing slavery in the Central American country. Walker attempted a re-conquest of Nicaragua in 1860, but was captured and executed. Overall, official U.S. policy toward filibusterers was one of initial lenience driven by popular support. However, U.S. officials ultimately did take steps to curb filibusterers’ actions once they proved embarrassing to U.S. diplomatic relations. Despite this official ambivalence toward these filibusterers, U.S. leaders often protested the lack of due process by which foreign governments imprisoned and executed U.S. citizens involved in filibustering. Overall, filibustering and U.S. policies seem to have hindered more than helped U.S. attempts at territorial expansion in this time period. The Gadsden Purchase was the only official territorial acquisition during the 1850s. Filibustering tended to encourage local hostility to U.S. expansion and spread international resistance to growing U.S. power. U.S. expansion in the later 1850s was also hindered by domestic sectional tensions over slavery.